I've been enjoying colouring some very old black and white photographs. It's been a fun exercise using a cheap (£50) Wacom graphics tablet and pen along with Adobe Photoshop, researching their real life appearances, attempting to restore sharpness and detail in a life-like manner, and extending the canvas outside the crop of the original image so as to look more pleasing to my eye. 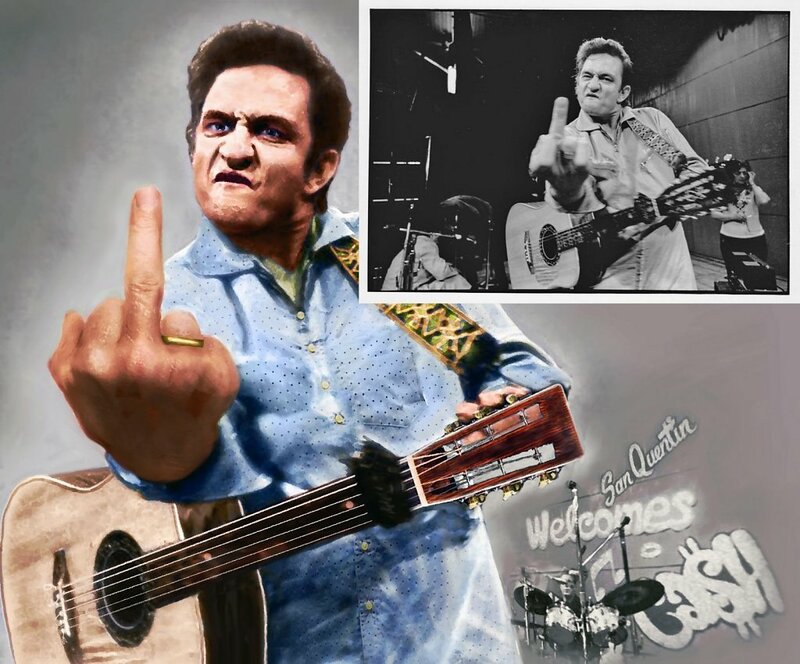 Johnny Cash was the toughest, the original image was too blurry through movement to be used successfully so I had to do a lot of painting and use my own hand instead of Johnny's own. I took a lot of liberty with this one because I also wanted to remove the distracting figure in the background, open his eyes, pattern his shirt and replace the headstock on the guitar.